We are Dropping "Junketsu + Kareshi"
UPDATE: WHEN THE NEW GROUP IS READY TO ANNOUNCE THEY’VE TAKEN OVER J＋K, WE’LL ANNOUNCE IT HERE TOO. We are dropping “Junketsu + Kareshi”. I’m basically the only person in the group working on that series and I’ve grown tired of the random and amateurish plot despite the pretty pictures. The beginning of my hatred of this series started at the beginning of chapter 7 when Kana asked “Why don’t we form a club! ?” What the ***!? I feel like this series was a bait and switch scam. It started out gritty and dark and Aki was a true biting vampire and then it turned into some light high school romp. I can’t take this. It’s an atrocity to do this to a vampire and a werewolf as cool and gorgeous as Aki and Jin. Anyhow…I’ve approached another group to take over the series and when they are ready to announce they are taking over the series, we’ll announce the new home too. I’m very sorry to all the fans out there who love this series, but this is for the best — at least for my sanity. We do have a new series in mind now that we are done with this one. It looks like Ogura Akane (ZHD) will be giving us something new and piratey (if I read her blog correctly) in June ;p.
Oh goodness, thank you for doing so. Like you said, this series has gorgeous art, but the storyline has gone awry a long time ago(in my opinion). The random events were driving me mad, and it's good to see that there won't be an update for this series on Omari's again. My apologies to this series' fans, though. Well, since nobody shows sadness, I will have to point that I am depressed xD I am fan of Shouoto, in her good or bad moments LOL Either way, I understand the decision. If you don't like a series is better stop working on it. I hope that the series go better in the following chapters. Though I don't really appreciate the group that will be taking it (not like Omari's), I wish them the best of lucks with the project. @KS — download the PDF if you don't want the watermarks. @Omari- Must be missing something because I don't really see anything that lets me do that. Though if it's at all possible I'd like to remain consistent with the format I've been saving the series in just far. This is only a humble request on my part, feel free to decline if its too much trouble, I'll understand completely. ＠KS — It's the second link. Not seeing much a difference between Zip and PDF other that PDF cannot be directly uploaded to a content farm. Download the PDF if you don't want the watermark. @Omari-Yes I know its the second link, but there's nothing on the PDF itself like in other my home PDFs with a menu that makes it obvious how I can save it. As for the difference I generally just feeling the scroll option makes it awkward sometimes, can end up disconcerted on what page I'm on/was with a misclick, instead of just selecting and reading the picture individually along a horizontal axis like a book. But like I said if its too much trouble then its fine I suppose. Well, I think it's good to let go of a guilty pleasure XD. I loved ZHD!! 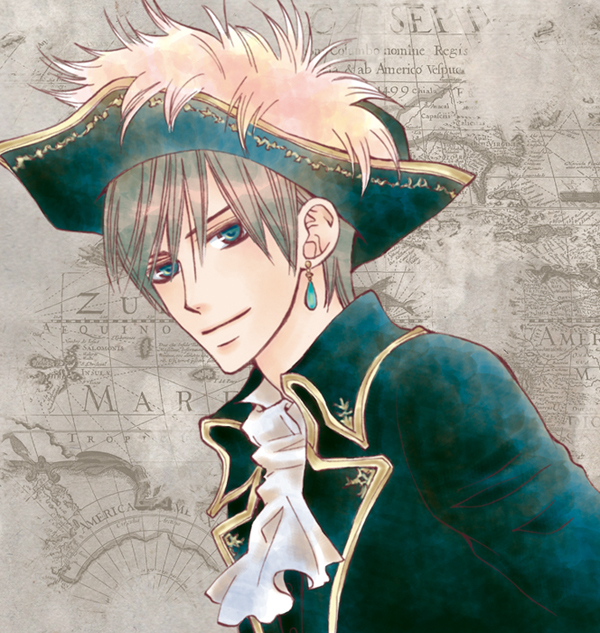 ❤ And pirates are always very charming in shoujo mangas! Hooray! Ugh, I don't blame you for dropping it. It's been a few months and I'm still annoyed about Orange Chocolate doing a similar thing. And about ten other shoujo series I used to follow but no longer do. I was never really into to J+K and I was never amazed by the artwork either. I still read it to cure my boredom but I'm not sad to see it go. I agree that the plot is going terribly and if you want to drop it, by all means drop it. There's nothing worse than working on something that you're not enjoying. Hahahaha! As expected from a “vampire supernatural cliche” + “Barajou no Kiss author”. Plot will fail!!! Too bad, I like the twins thing. Do you know if any other group is picking up Junketsu??? In truth, I dropped J+K after the 2nd chapter. You know, after that girl ends up in an accident and then nobody tries to help her and the dude comes up and bites her…and you know (if I remember that scene correctly). Not trying to offend anyone; I just found it distasteful. Oh, Ogura-sensei's new work! I'm extremely pumped up about that! And that picture looks just breath-taking~~ Looking forward to 'Blue Rhapsodia'! @Pyro and @SL — You two both gave me strong warnings when I chose that series. The first two chapters were so appealing, though. Hahaha! I should have listened. Well, hopefully, now we're on a better track for the group. It's sad, though, how many series FAIL. I'm so worried now about picking up any new series of unknown length. I will admit this won't be the last time I pick a series with a vampire in it. Do you know if any other group is picking up Junketsu?? @Yona — reread the post. Your question has already been answered. Glad that it's not a series that I liked or much less read. J+K was really boring and since I don't like short-haired girls (how shallow), I prefered all the other series of the author. I thought it was pretty boring so I stopped reading it. It felt like the author only worried about the art and not the storyline…so it was a waste of time to read. I loved this for an easy mindless read, and might still continue reading. But honestly, as much as I love art… it's just not as important to me as a strong original plot. I never had any expectations for this in the first place but it was enjoyable while it lasted. I totally understand. I was SO excited when I read the first chapter- I thought it'd be dark and gritty, too! That was what drew me in! I kept reading in in hopes that it would revert back, but I think that it won't and if you kept posting I'd keep reading it and keep getting disappointed! What I am trying to say is that that the fact that you released chapter 9 wasn't a waste of time and probably made a lot of people happy. 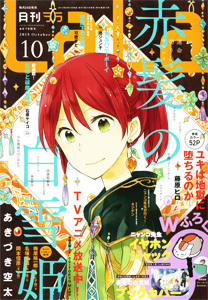 Oh, by any chance did you think in scanning some of the color pages of chapter 10? @Erea — It sounds like the group that is taking “J+K” over will be working on chapter 10 right away. Plus, I completely handed the project to them, so it would be awkward for me to release material from chapter 10. Which group will now release J+K? I couldn't agree more. J+K was such a promising series but it turned out to be very disappointing. This is so frustrating! I really hope it will get better but for this to happen, the author would have to realize what's wrong and make drastic changes. But the series is apparently quite successful the way it is now (even though I don't know the ratings in Japan). So I'm not sure that's going to happen. Anyway, I'm looking forward to Blue Rhapsodia and all the other series you have planned! @Minalauva — I don't know how J+K pulls out of the high school trap now that they've started a club. Although given the way it's been going so far, it's entirely possible that the school could get blown up and so much for the club and the student council stupidity. ??? The new Aria cover is provocative, BUT the last J+K cover was provocative too and ultimately had nothing to do with the story. Thinking about it …actually, it's rather weird how the magazine covers and the title pages are telling a different story than the series. I wonder what's going on behind the scenes there. Is the story that's being told now the story Shouoto-sensei really wants to tell? @Anonymous — my hope is that AnS is near it's end. My feeling is that volume 6 will either end at chp 25 + omake and continue on (-_-) or chapter 26 and that will be the end of the series. I think after this pirate arc, I won't have any love left for this series. Plus, I think a big pirate battle followed by marriage would be a good way to end that series. We'll just have to wait and see. I'm not very sad. The first chapter seemed interesting (vampires! and deeeelicious art!). But after that it didn't hook me, and I think I dropped it after chap. 4. Thanks for giving it a chance, though! I see what you mean. The plot did start to so some funky stuff I don't like as much starting with ch. 7, but that side plot ended so I hope things can get back on track now. we'll have to wait and see. Previous Previous post: Making Progress!…Maybe?? ?